Blue Ridge Hemp specializes in selling CBD infused Natural Care products online. Their CBD products are safe, legal, and ship right to your door. The company is based out of Asheville, NC and their mission is to help people improve the quality of their lives with less pain. 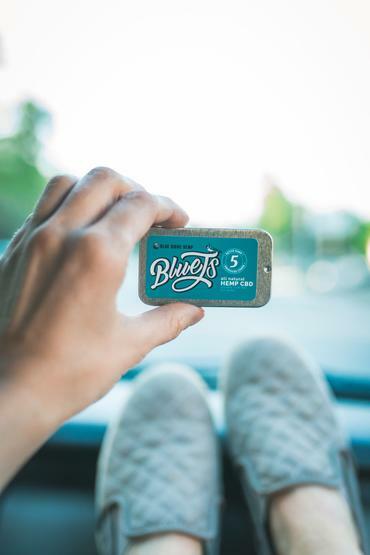 Blue Ridge takes industrial Hemp derived cannabinoids and infuse it with other sourced Terpene rick botanicals to distribute products meant to provide relief. We've reviewed their online store below. If you're looking for Blue Ridge Hemp coupons or promotions you can find them on the right. If you're here for Blue Ridge Hemp reviews you'll want to scroll all the way down. What's Unique About Blue Ridge Hemp? 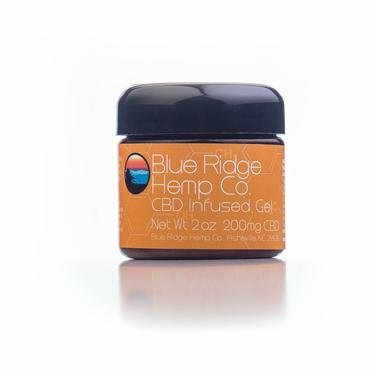 Blue Ridge hemp offers an extensive list of CBD topicals including; CBD infused gel, CBD infused salve, organic hand and body lotion, CBD infused massage oil, CBD infused roll-on, CBD bath bombs, CBD scrubs, CBD muscle care and CBD joint care. All the topicals contain cannabidiol with trace amounts of THC but are infused with different organic herbs. They are intended for pain control and relaxation and work in pretty much the same way, being rubbed directly on the skin. The CBD Infused Gel comes in a 2oz bottle and contains 200mg of CBD. It sells at $ 50.00. It is ideal for muscle related pain and inflammation, it provides a warming and cooling sensation on the skin. It contains key ingredients such as organic aloe leaf juice which is the base of the gel, menthol crystal which combats inflammation and irritation and cools the skin, capsicum and 99.7% pure CBD isolate. 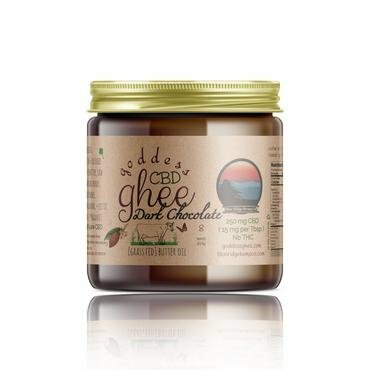 Blue Ridge Hemp sells CBD super foods that include chocolate bars, chocolate chip cookie bites, dark chocolate CBD ghee, dark chocolate CBD coconut oil, golden spiced CBD ghee and golden spiced CBD coconut oil. 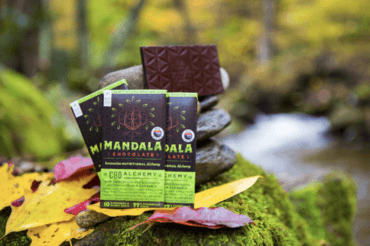 The CBD Alchemy chocolate bar is a silky smooth and nutrient dense cannabis infused chocolate bar that is loaded with a plethora of health benefits. Each bar contains 60mg of CBD, and is absolutely vegan, gluten free and dairy free. The velvety texture allows the chocolate to melt easily on your tongue and fortunately this chocolate does not need refrigeration. It contains organic cacao, organic coconut sugar, wildcrafted reishi, organic calamus, celtic sea salt and wildcrafted chaga. The golden spiced CBD ghee comes in an 8oz container (250 mg CBD) and sells at $ 55.00. This ghee is seasoned with a mix of spices associated with anti-inflammatory benefits. Together with CBD they make for a super food that is as tasty. Moreover it is lactose and casein free and does not require refrigeration. It contains organic turmeric, organic cinnamon, organic black pepper, celtic sea salt and 99.7 % pure CBD isolate. The color, flavor and texture vary by batch. They have over 12 flowers to select from, cut hemp flowers from farms around the US which are wrapped in hand crafted natural cones. The Kush Hemp Strain is derived from OG Kush which is the backbone of many west coast cannabis varieties. It sells at $ 60.00. This top cut flower has a sour lemon scent and flavor and is great for relieving stress and providing nostalgic relaxation. It contains less than .3% Delta 9 THC and is Non-Psychoactive. 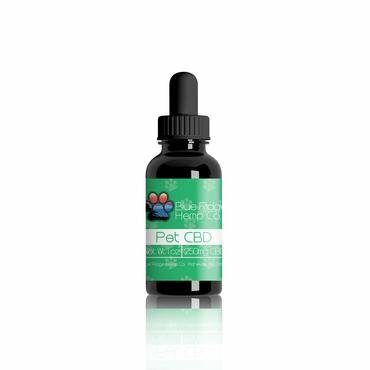 The Pet CBD Tincture comes in a 1oz bottle which has 250mg of CBD and it is sold at $40.00. It is ideal for pain management and also calming your anxious pet. They recommend starting with 2-4 drops per days as you adjust accordingly. You can place the drops beneath the tongue of the pet or mix it with their food or water. It contains 99.7% Pure CBD Isolate extracted from Industrial Hemp.